Mary Beth Smith of Cleveland has always had an interest in design. Today, she has parlayed that love into a new career, proving that it’s never too late to follow your passions. “About ten years ago, I was attending an apparel market with a friend, where I was introduced to the company Matisse Footwear. I tried their samples on for my friend to help decide fit, comfort and what looks better on,” says Smith, who is a size six in shoes. “Their reps were always friendly helpful and fun. I would even try shoes on for other boutiques buying in the showroom and I would end up selling to them. It just got to be a constant where they would even call me to come back to their booth to help try on and sell. The initial steps in the process were a bit scary for Smith, but she was determined this would be a great opportunity, so she put one foot in front other, pun intended. “The first thing you have to do is send in a video of yourself talking about who you are and your shoe history,” Smith explains. “If they like you, then they send a full packet of information to read and study about their company and how it works before going on TV. “I had to go to a full day of training at the HSN headquarters in St. Petersburg, Florida. The entire day is focused on meeting the buyers, camera crew, guest relations and producers/trainers and learning how their company works, since everything is live,” she says. Smith said they even focus on what one can and can’t wear down to color of nail polish. 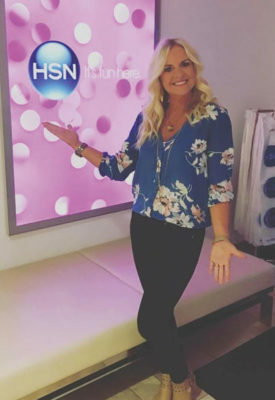 HSN buyers go to market and pick the shoes they want for their customer from the exclusive Diego di Lucca line, and whenever they feel it is the best time to run the shoe on air, they line that up with Smith usually about a month out. “My company sends me the shoes to practice and prepare with and I go the day before the show airs and then I leave the day after,” she explains. “The day of the show I arrive at the studio two hours before going on air. So far, I’ve been on five times. I’ve only been featured on ‘The List with Colleen Lopez,’ which is very well-known and popular with all the HSN customers. Each time I meet with Colleen and the producer to go over the show and then from there, it’s off to hair and makeup. 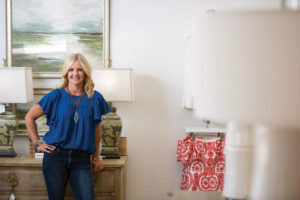 Because Matisse Footwear executives are so impressed with Smith and her abilities, she is now working for and representing their footwear at the Atlanta Apparel markets that are held five times a year. “It really helps me get more familiar with our products as far as details, leathers and factories used in creating the designs, which will help my sales pitch on TV,” she says. Smith is proving that a small town Delta girl with a flair for fashion can take on just about any challenge.